Rely on XDP's Wrinkle Black Gear Reduction Starter to get your 2007-2018 Dodge Cummins 5.9/6.7L running in even the most extreme environments. They're faster, stronger, more durable and produce more torque than the factory starter - all at about a third the size. 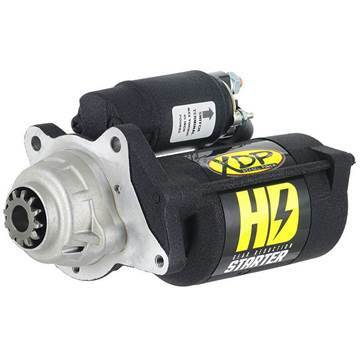 Rely on XDP's Wrinkle Black Gear Reduction Starter to get your 2003-2006 Dodge Cummins 5.9L running in even the most extreme environments. They're faster, stronger, more durable and produce more torque than the factory starter - all at about a third the size. 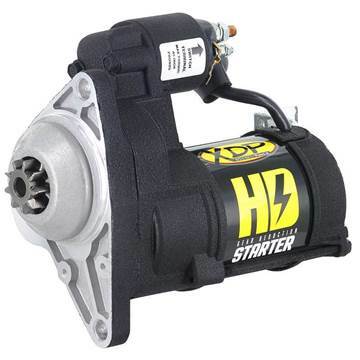 Rely on XDP's Wrinkle Black Gear Reduction Starter to get your 1994-2002 Dodge Cummins 5.9L running in even the most extreme environments. They're faster, stronger, more durable and produce more torque than the factory starter - all at about a third the size. Rely on XDP's Wrinkle Black Gear Reduction Starter to get your 2008-2010 Ford 6.4L Powerstroke running in even the most extreme environments. They're faster, stronger, more durable and produce more torque than the factory starter - all at about a third the size. Rely on XDP's Wrinkle Black Gear Reduction Starter to get your 2003-2007 Ford 6.0L Powerstroke running in even the most extreme environments. They're faster, stronger, more durable and produce more torque than the factory starter - all at about a third the size. Rely on XDP's Wrinkle Black Gear Reduction Starter to get your 2011-2016 Ford 6.7L Powerstroke running in even the most extreme environments. They're faster, stronger, more durable and produce more torque than the factory starter - all at about a third the size. Rely on XDP's Wrinkle Black Gear Reduction Starter to get your 1994-2003 Ford 7.3L Powerstroke running in even the most extreme environments. They're faster, stronger, more durable and produce more torque than the factory starter - all at about a third the size. Rely on XDP's Wrinkle Black Gear Reduction Starter to get your 2001-2016 GMC/Chevy Duramax 6.6L (LB7/LLY/LBZ/LMM/LML) truck running in even the most extreme environments. They're faster, stronger, more durable and produce more torque than the factory starter - all at about a third the size. Sinister Diesel's 200 Amp OEM alternators are trusted by many Diesel repair shops and stores to be the “fix all solution” for 1999-2003 Ford Powerstroke 7.3L alternator failures which may cause IDM/FICM failures due to low voltage from the lack of alternator power that comes from the Ford factory. 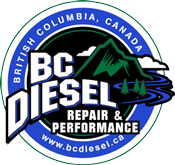 Sinister Diesel's 200 Amp OEM alternators are trusted by many Diesel repair shops and stores to be the “fix all solution” for 2003-2007 Ford Powerstroke 6.0L alternator failures which may cause FICM failures due to low voltage from the lack of alternator power that comes from the Ford factory. Sinister Diesel's 250 Amp OEM alternators are trusted by many Diesel repair shops and stores to be the “fix all solution” for 1999-2003 Ford Powerstroke 7.3L alternator failures which may cause IDM/FICM failures due to low voltage from the lack of alternator power that comes from the Ford factory. Sinister Diesel's 250 Amp OEM alternators are trusted by many Diesel repair shops and stores to be the “fix all solution” for 2003-2007 Ford Powerstroke 6.0L alternator failures which may cause FICM failures due to low voltage from the lack of alternator power that comes from the Ford factory. If you're in need of a new alternator for your 2003-2007 Ford Powerstroke 6.0L F-Series diesel, then this upgraded 140A alternator direct from Motorcraft is all you need. Recently upgraded from the factory original 105A alternator design, this new unit should pack all the power that you require. There is a $35 refundable core charge on this product.